It’s been awhile since we’ve had a giveaway, what a great one this is! I was so excited when Blue Man Group asked if I wanted to run a giveaway for a family 4-pack! Um, YES!!!!!! I’ve been trying for about 2 years to get my family here, I”m hoping this year will be the year. Anyone else interested in going to see Blue Man Group? I’m sure there are many. Thanks Blue Man Group for offering this great opportunity to our readers! Remember, Blue Man Group has a deal over winter break with lots of fun extra activities and nearby restaurants offering vacation discounts. You can read all that you more here. The discount is already in the price, so you will not need to enter a code. The vouchers for our giveaway will be good to use anytime after March 5th. So, what do you say, wanna get this giveaway going? To enter, we have a few easy tasks for you. The more you do, the more chances you’ll have. There are a few tasks that can be done daily for even more entries! After the winner is chosen from Rafflecopter, the winner will receive an email and will have a certain time frame to respond to claim tickets, otherwise, a new winner will be chosen. I want to bring my son! he would love it! Oh this would be amazing!! Thank you for all the amazing things/idea you post!!! If I win, I will bring my husband and daughters. I’ve always wanted to see them. I’d bring my boys. I want to bring my hubby and 2 oldest kids, they would love it! I would love to take my daughter and a friend!! It’s been almost 10 years since I’ve been to Blue Man it was a fascinating show!!! I’d take my family! My kids would love it! I’d take my husband and two girls! I would bring my kids and husband! I will bring my husband and good friends if I win. Oh how my kids would just love to see the Blue Man Group!! We would love to go! Thank you for the chance! I have always wanted to see Blue Man Group. My family would LOVE it! I hope to take my kids soon! I would take my daughter… she would absolutely love this show! 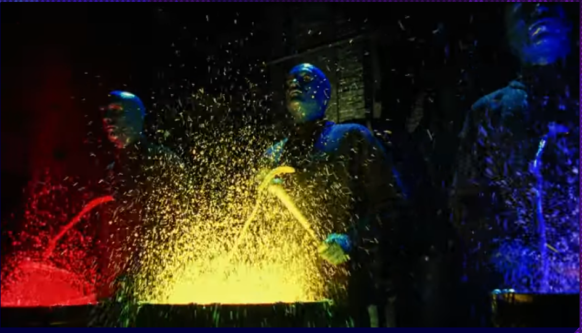 Love to take the family to see blueman group! Would love to be able to take my family to this, never been to any concert or anything like this!!! My kids and husband would be my guests! I’d love to surprise them!